Hitting a home run in baseball is the dream of every baseball hitter. A home run essentially allows a hitter to complete the circuit of the bases in a single play. Quite frequently, home runs result in the baseball being tossed out of the field or park. However, home runs are not easy to score which is why home runs are highly sought after by the baseball players. Being able to hit home runs frequently means you have a better chance at attaining success and glory at a baseball career. Apart from mastering all the basics of baseball hitting, you will need to focus on your bat speed and prowess in order to successfully hit home runs. Here are some tips and guidelines to help you meet the essential conditions of hitting home runs. The right stance for a baseball hitter is to stand with legs more than shoulder-width apart, and the bat raised up and in front of you while gripping the bottom end of the bat with both hands. This is the ready posture for hitting the incoming baseball. Typically, baseball hitters choose to hold the bat at shoulder height or even higher. This gives them space to generate momentum when they bring down the bat with force to hit the ball. With your legs apart and your arms and hands gripping the bat, you should ideally stand in a balanced stance and posture. Such a posture should be firm and relaxed, both at the same time. When you are about to hit a baseball, you should strive to balance your weight on the balls of your foot. This is the portion between the toes and arches. When you balance your weight on the footballs, this gives you the ability to quickly shift your weight as and when needed. As a result, you are able to channel your swing momentum into the incoming baseball with ease. Another important thing to note is that when you are about to hit the baseball, try to slightly lean on the back foot. A crucial part of hitting well and hitting home runs is being able to time your hits well. Ideally, the beginning of your swing movement should coincide with the release of the baseball by the pitcher. Some hitters also tend to take a step with their front foot when hitting. If this is your style, you can ensure a good timing by coinciding this step with the release of the pitch. 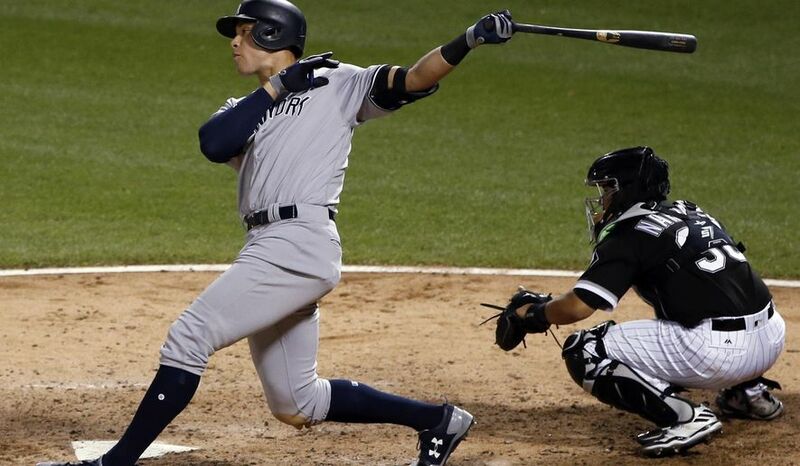 Home runs are as much about speed and technique as they are about the sheer power of a hit. To achieve great hitting power, use your body core optimally during the swings. The best way to do so is to start your swing with the hips. Then as you rotate your hips, this channels energy and momentum to the torso and upper body. At the beginning of the swing, your weight leans on the back foot. But as you begin the hip rotation and swinging action, this slightly shifts your weight towards the front foot. When you are hitting a baseball, aim for the ball with your lower arm. This is the arm that will guide the bat towards the ball. The important thing is to time the swing to achieve accuracy in aiming the ball with the bat. When guiding the bat with your lower arm, do not pull the bat by bending your arm. Simply continue a sweeping movement during the swing and let the bat make contact with the ball at the right time. Many hitters aim to stop their swinging motion the moment their bat makes contact with the ball. This is a mistake. When you are hitting a baseball, you should aim to continue swinging the bat through the ball. A convenient trick to achieve this is by imagining that there is a second incoming baseball right behind the first one. Aim for this second baseball. This will help you continue the swing well through the actual ball. A vital thing to consider when practicing for home runs is to choose the right bat. You can check out various best baseball batslists to find a bat that delivers optimal performance. The basic criterion when choosing the right bat is to find a bat that you are comfortable with and that is well suited to your hitting style as well as your height and weight. You may try your hands at different bats before finalizing the bat that fits the bill perfectly. Once you have the right bat, practice extensively with it to get the hang of it.